A fantastic interview. Thanks Laurie! Very nice interview. Thank you. 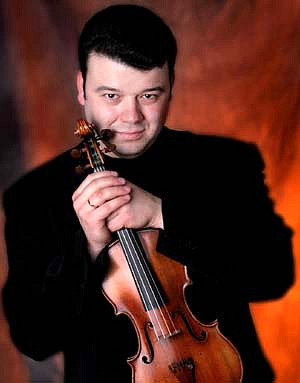 WOW, really this is the kind of violinist that I look up too!!! I have to listen to his playing, I'm sure it will be wonderful! Thanks, Laurie, for another great interview. I especially liked the part about the violin being a living spirit with the imprints of all those who have played it before. I cherish my violin, in part, because my teacher / mentor owned and played it before I did. I've heard that Yo Yo Ma sometimes played a cello that used to belong to Casals. I have heard him play a Strad cello bequeathed to him by Jacqueline du Pre, and it was awesome. Magnificent interview. Gluzman truly embraces life.